The latest crash numbers from Tuesday's snowfall. 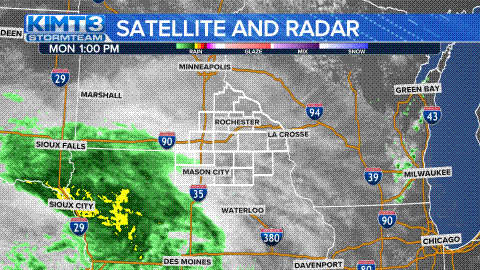 ROCHESTER, Minn.- Snow is moving its way through the midwest. While it may be pretty to look at, it’s terrible to drive in. The snow started out this morning as a light dusting is now heavy wet snow, making for poor travel conditions. KIMT News 3’s Jeremiah Wilcox spoke to people about the sudden snowfall. Shawn Taylor said she doesn't like to drive in the snow because of a fatal accident years ago. On Tuesday, Minnesota State Patrol has responded to 421 crashes, 32 with injury. They also responded to 402 vehicle spin offs and 15 jackknifed semis. We also spoke to state troopers who said majority of these accidents can be avoided if drivers would slow down. They tell us that if you see someone driving unsafely they urge you to call 911. They also said that you can fill out a unsafe driving form. For Minnesota State Patrol unsafe driving form, click here.